I think most of us (not the mean materialistic ones..who would be rather happy to have a tree made of gold in their backyards) would agree with Sir. Martin Luther. 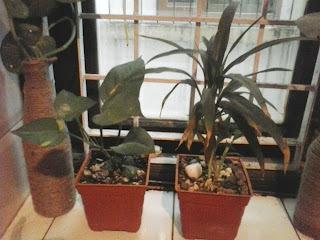 I truely believe that a house without greens (i mean the plants) is never complete and lacks that spark,warmth, freshness and earthy-ness. Green as we know is the color of the nature. It symbolizes growth, harmony, freshness, and fertility and has great healing powers too (what else do you want).It is the most restful color for the human eye; it can improve vision. Green suggests stability and endurance. 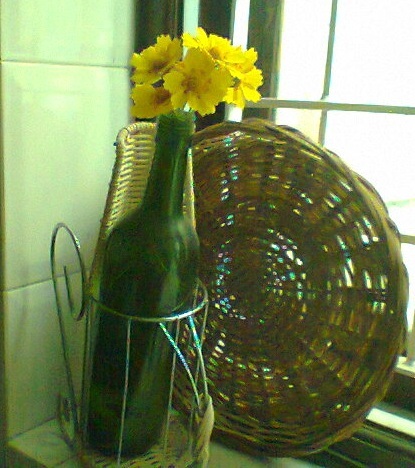 I soo much like love this colour that every corner in my house has a green. Here I am putting up some pictures of the greens in my kitchen. 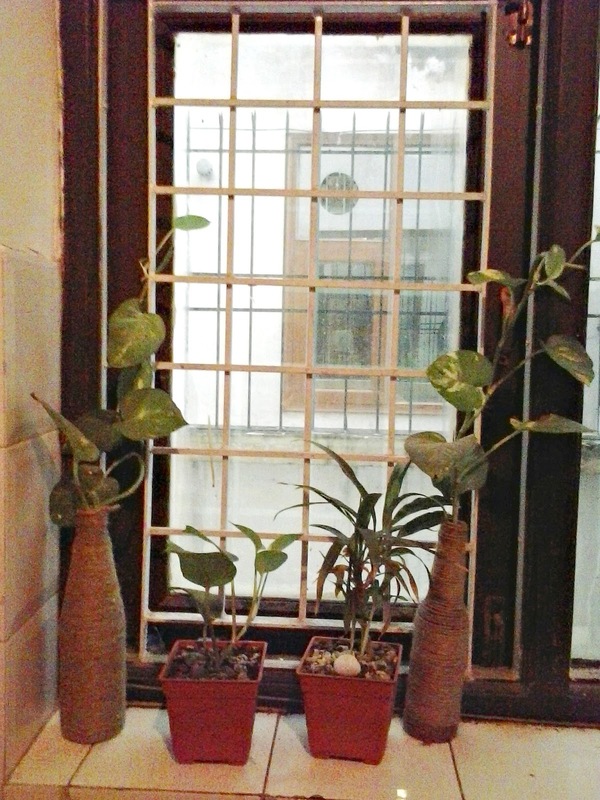 This image is a few weeks ago when this corner in the kitchen looked like this. 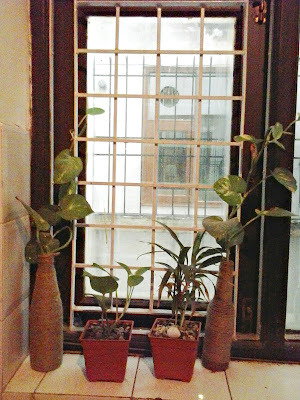 Another corner in the kitchen. Until next time.... GO GREEN. House without green is never a home indeed. 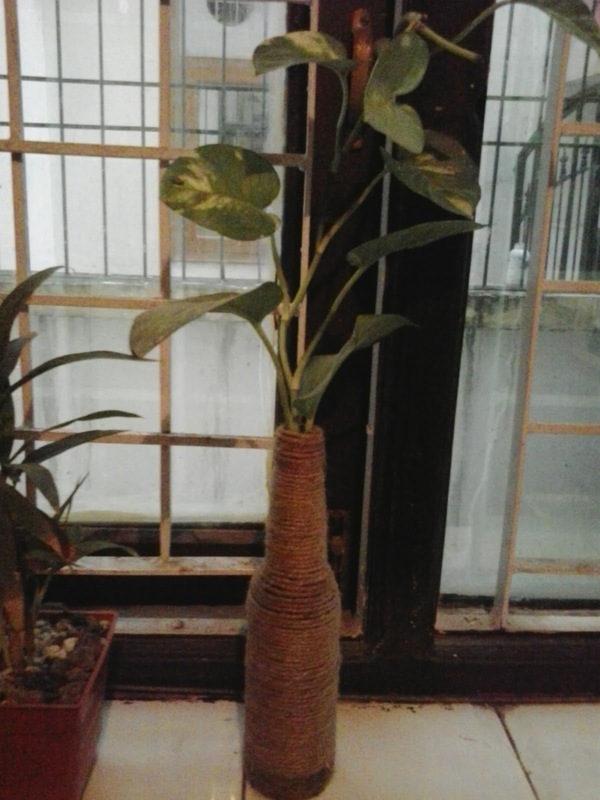 Loved your money plant in the bottle, they are wrapped in Jute right? 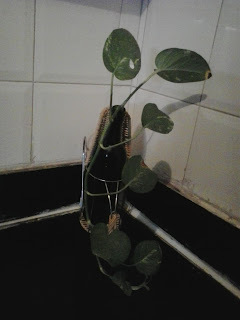 Yaa the bottle is wrapped in jute.... and completely true that greens complete a home... i bought these bottles recently only from an online store and have these in my bathrooms as well with money plants. 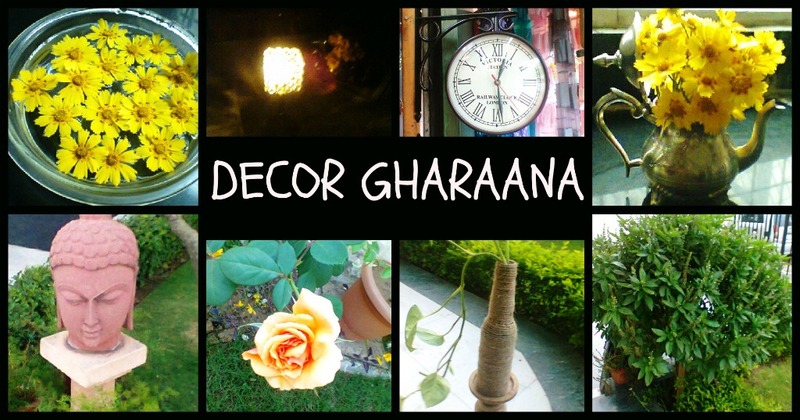 Here's the link to the store I bought it from, if you are interested..